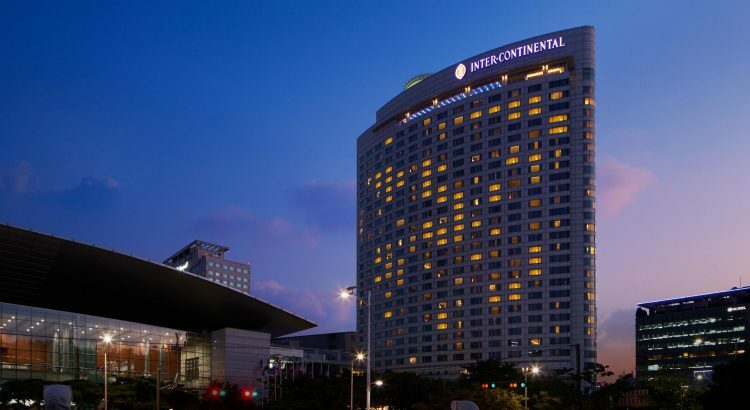 Nearby Coex, there are many 3- to 5-star hotels. The area is integrated into Seoul’s world-class public transportation system, has a range of dining and entertainment options on site and provides unforgettable experiences. Located in the center of the city’s Gangnam district, it is where shopping, entertainment and business come together. Hotel reservation for all paid delegates will be open in August until Tuesday, November 13, 2018. Rooms are subject to availability and cannot be guaranteed should there are any booking requests received after this date. And the room rates are subject to change due to local conditions. * Hotel expenses will be charged in Korean Won. Quotations in US Dollars are for reference only and may vary subject to the currency exchange rate. ** All rates are exclusive of tax and SVC. Only delegates who have registered for the APVRS 2018 and settled their registration fees can reserve hotel rooms through the Congress System. Depending on the hotel’s policy, credit card details may be needed to secure the booking. The above rates is listed for the room cost only. Other expenses such as breakfast, additional bed, mini-bar, laundry service and so on will incur additional charges and should be paid to the hotel upon check-out. The room will be guaranteed with the given credit card information. Room rates will be charged by the hotel at check-out and a receipt will be issued accordingly. Confirmation letter will be sent within a week from the day the reservation was made. The price of one night’s stay will be charged to the given card by the Housing Bureau within one week from the day the reservation was made and the remaining balance will be charged by Tuesday, November 13, 2018. A receipt will be issued by the Housing Bureau upon request. A confirmation letter will be sent when the deposit is made. If delegates do not have a credit card, they should remit at least the cost of one night’s stay to the Housing Bureau within 1 week and the remaining balance should be paid by Tuesday, November 13, 2018. Amendments and cancellations can be made free of charge by November 13, 2018 (GMT+9) but are subject to availability. Requests must be made by e-mail or fax to the Housing Bureau by the deadline. No-show, Shorten of stays or cancellation requests raised after November 13, 2018 (GMT+9) are subject to 100% cancellation charge of the entire stay. Refunds will only be made after the congress due to administrative reasons and bank charges will be deducted from the refund amount. Early check-in (before 15:00) and late check-out (after 12:00) cannot be guaranteed and extra charges will be applied. The hotel list and room rates are subject to change due to local conditions.